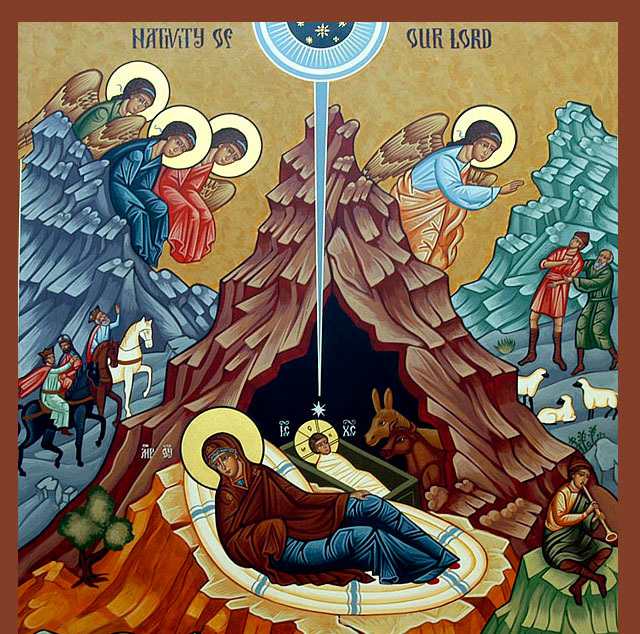 Bethlehem this day resembles heaven; hearing from the stars the singing of Angelic voices; and in place of the sun, enfolds within itself on every side, the Sun of Justice. And ask not how: for where God wills, the order of nature yields. For He willed; He had the power; He descended; He redeemed; all things yielded in obedience to God. This day He Who Is, is Born; and He Who Is, becomes what He was not. For when He was God, He became man; yet not departing from the Godhead that is His. Nor yet by any loss of Divinity became He man, nor through increase became He God from man; but being the Logos/Word He became flesh, His nature, because of impassability, remaining unchanged.